We love cookies in our house; especially the kiddies. I wanted to try something different and see if a cookie without flour would taste as good as a original. They came out so delicious: Creamy, moist and crunchy. These were fun cookies to make with the kids too; super easy and fast. 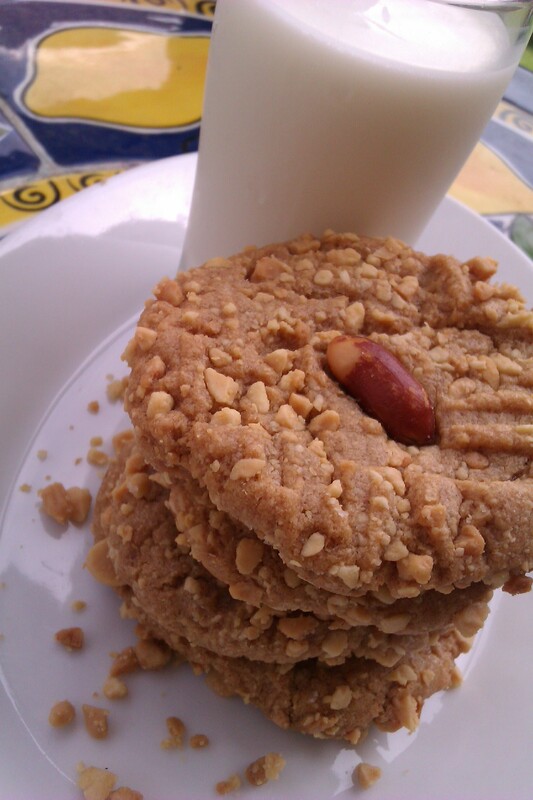 This cookie went great with a cup of coffee or with a nice cold glass of milk. Enjoy! These look delicious! I think I just make some this afternoon. Great recipe. So simple AND gluten free? Going in my recipes to make list! !